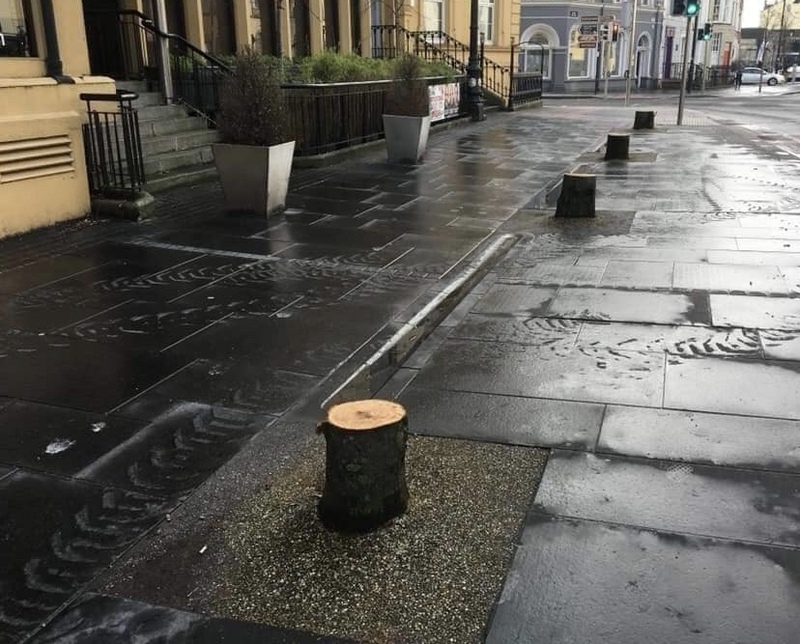 THE Waterford News & Star questioned Waterford City & County Council this week on their tree felling programme, which caused a considerable reaction on social media in the last fortnight. Green Party candidate for the upcoming local elections, and a founder member of the Trees for Life action group, Jody Power was not impressed. “Every winter Waterford City & County Council carries out a tree maintenance programme across the city which involves tree pruning and removal and these works are prioritised on a number of factors including the age and general health of the trees, potential dangers to the public from diseased or rotten trees, storm damaged tree limbs, the appropriateness of trees to particular locations, tree limbs interfering with public lighting or overhead cables, tree roots lifting footpaths and public complaints. 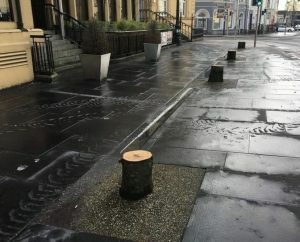 The Council has removed a number of trees in the City centre in recent weeks including 13 outside the Tower Hotel and 9 in Water Street – there were a number of factors governing the removal of these trees – the trees species in both cases were more appropriate to parkland settings and not to the very tight confines of a metre wide verge or a very small root box that restricts the natural root growth of a tree and impacts adversely on a tree’s health and longevity. In both these cases the tree branches had grown into the facade and windows of the adjoining buildings depriving the occupants of natural light and giving rise to numbers of complaints to the Council. We had previously pruned a number of these trees and further pruning would only have severely impacted on the health of the trees as these trees were close to the end of their natural life. We received a petition from the residents of Water Street highlighting the problems caused by the trees to their property. The trees that were removed will be replaced with a species that’s more appropriate to an urban environment. This is an on-going issue and crops up regularly where trees that were planted with well meaning intent 20 or 30 years ago but insufficient thought was given at the time to the types of trees being planted and their suitability to the location.